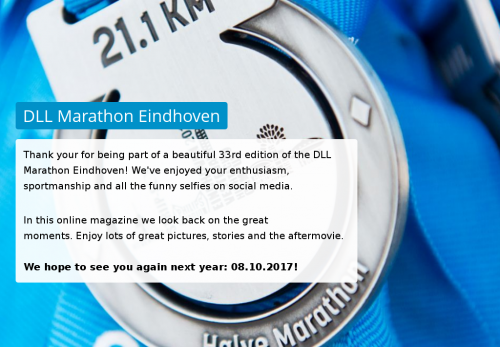 Thank your for being part of a beautiful 33rd edition of the DLL Marathon Eindhoven! We've enjoyed your enthusiasm, sportmanship and all the funny selfies on social media. In this online magazine we look back on the great moments. Enjoy lots of great pictures, stories and the aftermovie. We hope to see you again next year: 08.10.2017!